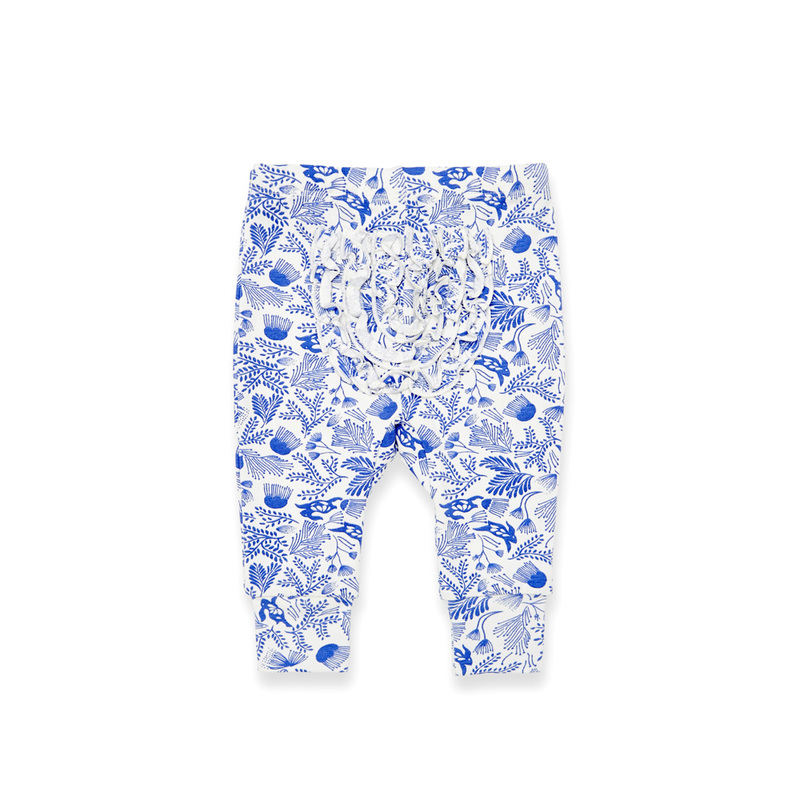 These super soft full length baby leggings are a sweet style with a tie waist and frill design at the back. 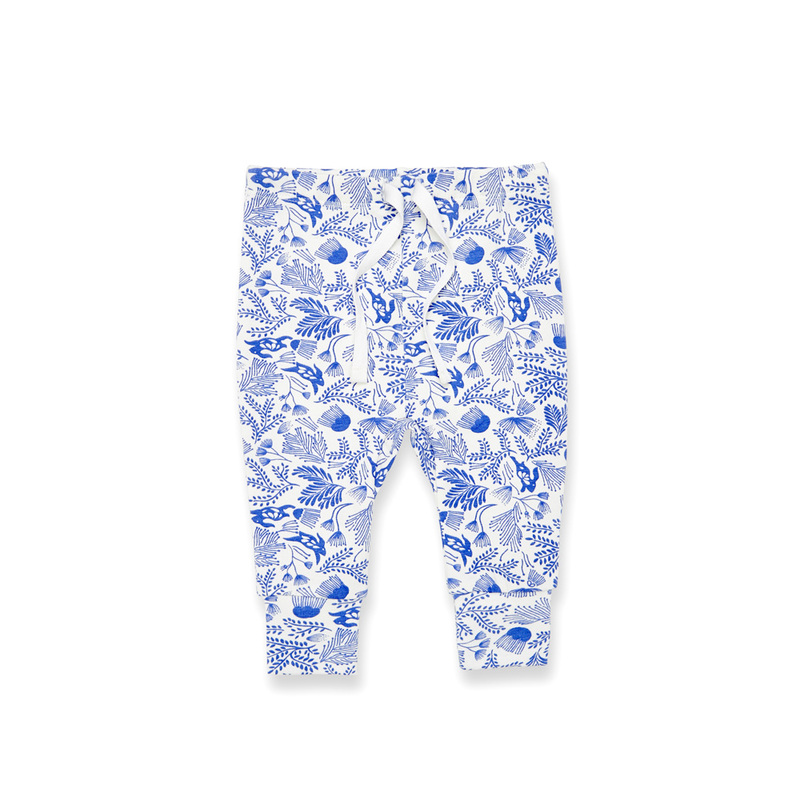 The delicate floral design in blue and white is so pretty with stylised bunnies hopping along... These leggings would be ideal to match with one of the new season Wilson & Frenchy tops eg. Little Pear Baby T-shirt.